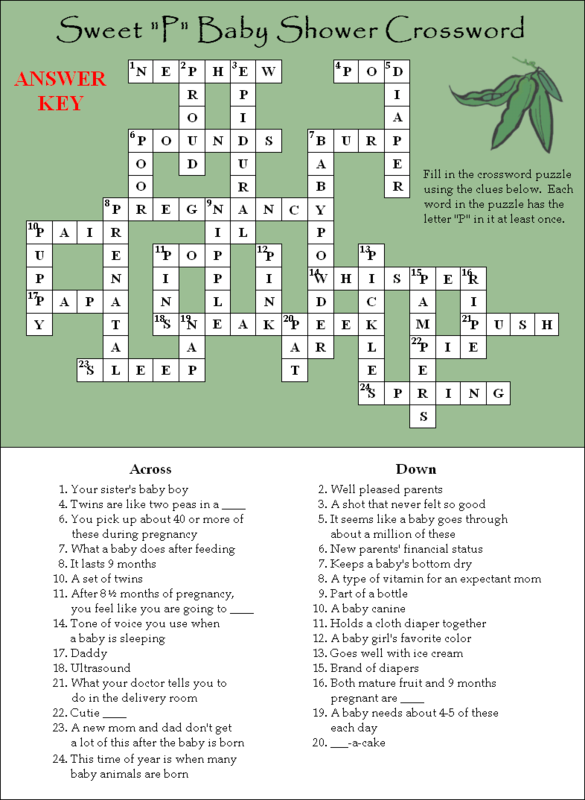 Here is a fun baby shower crossword game for any baby shower theme. It fits perfectly with a "Sweet Pea", "Pea in a Pod", or "Two Peas in a Pod" theme. You can either have your guests play this individually or in teams. Print out one of these game cards for each guest or team, using the instructions below. The EASIEST way to print out this crossword puzzle is to open this Sweet Pea Crossword .PDF file and print it from there. You will need Adobe Reader (the latest version is recommended) installed on your computer in order to open and print this baby shower crossword game. You can get Adobe Reader here (a new window will open so you can download without leaving this page). 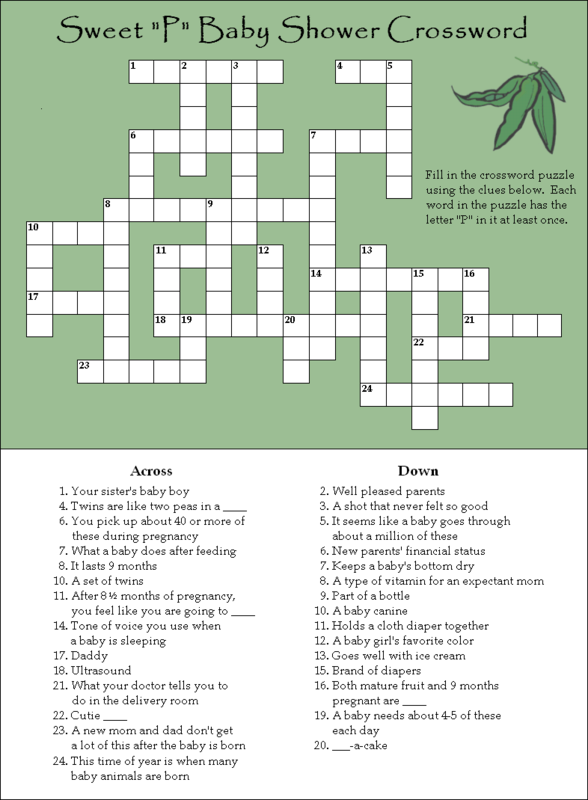 I hope you enjoy this baby shower crossword puzzle!